Bound and gagged–kidnapped–by a Control Operative who calls himself Raziel, Aislen Walker is locked away in a laboratory that will not allow her to wake up. If she thought reality was bad, the dreams she is having are even worse. And as she is learning; they’re not really dreams. 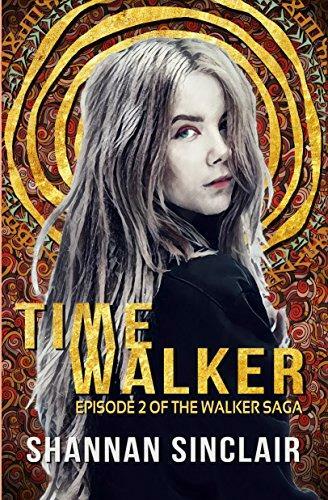 Aislen is Traveling–back in time–and witnessing the horrors inflicted on her family by one man, Sigmund Lange, her great-grandfather and the mastermind behind Infinium Incorporated. Developer of Control Operatives, creator of Manchurian Candidates, and expert at controlling the masses through mind control techniques, all he wants is one thing: to possess Aislen so he can restore his place at the throne of his corporation. Awake, Aislen must face Raziel, a tormented soul possessed by a darkness she has experienced for herself. Will he kill her? Will he hand her over to Infinium Incorporated? Or can she trust him to protect her from being captured, mind, body and soul, by her great-grandfather? 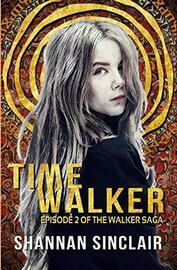 Don’t miss Time Walker, Episode 2 in a fast-paced, action-packed series that explores the power and possibilities of our limitless human consciousness within the trappings of a conspiracy thriller. If you loved Fringe, The OA, Black Mirror or movies such as Dr. Strange, Source Code, Inception, and the The Adjustment Bureau, pick up this page turner today! “Great book! Loved the concept and was in suspense until the very end.” –Margery M. P.
This book doesn’t really fit neatly into a typical sci fi or paranormal fiction genre. How do you classify it? It’s true. Dream Walker is not traditional sci-fi, which explores the mechanical, three dimensional worlds, often uses space crafts and plausible technology. It isn’t really paranormal fiction either, which is associated with vampires, ghosts, or fantastical creatures. It is actually Visionary Fiction a genre in which the expansion of the human mind drives the plot. It is driven by our more ephemeral, mystical experiences, phenomena that doesn’t fit into the confines of logic, but can be explained through the new sciences of quantum mechanics and possibly string theory. What drew you into writing this kind of novel? They always say, “write what you know.” So for me, that meant writing the weird. I’ve experienced many extraordinary paranormal events in my life, from dream travels, like Aislen, to the haunting of my childhood home. I’ve even had the pleasure of a few of UFO sightings. As the years progressed, I began to experience psychic phenomena, such as premonitions, telepathy, clairvoyance and clairaudience. My traditional religious paradigm couldn’t explain them, which sent me on a quest for knowledge and understanding. Who would enjoy this type of novel? People who love tv shows like Fringe, The OA, or movies such as Dr. Strange, Source Code, Inception, and the The Adjustment Bureau.